Zuriaake’s (romanized from 葬尸湖, roughly translated Sepulture Corpse Lake) first album Afterimage of Autumn was released in 2007. It has some exceptional qualities, for this Chinese Black metal band is not mimicing Norwegian Black Metal sound but taken excepts from Chinese culture to their metal mixture. Their Black metal focuses on entwining natural atmospherics, ambience with very overdriven guitars and depressive black metal vibe. 山神 / God Of Scotch Mist starts the album with delicate and lovely instrumentation that turns into a lot of punch and sets a suitable depressingly heavy undertone but also introduces a lot of worthy melody work. Zuriaake creates a lot of shamanistic ritual feel in their tracks and God of Scotch Mist is probably the finest piece. In the mid-part of the record the songs turn slower and oftentimes you could argue it is ambient with distortion guitars. But guitar-tremolos, occasional blastbeats and vocals reminiscent of depressive black metal prove that the band is not here just to float around. In the albums most stunning moment the chorus of 歸兮 / Return Journey Zuriaake seamlessly adds a traditional sounding Chinese tremolo melody to a slow doomy basis. Tell me this is not (un)divine. Unfortunately I could not pick the name of this guitar like string instrument as the booklet is all in Chinese (except track titles). The album is an extremely well flowing entity but it could have more highlights. One of them is the title tracks somber pace and wind-instrument and piano melodies. It has a feel so close to nature it’s incredible especially considering that the piano and woodwind sounds aren’t perfect. On the other hand the next song 暮林 / Forest Of Twilight is very similar in nature but does not seem to go anywhere. 荒山 / Desolated Mountain then seems to consist of two songs, first near-shoegazing with bloodthirsty shrieks all the sudden turning into a solid mid-paced black metal track only to end ambiently again. The use of delicate abnormal black metal flavours adds so much essence to this release. Even though the release is sometimes so shoegazing it’s on the verge of boring, the atmosphere and unique Asian black metal elements redeem a lot of it. It is also a grower that gets better with time and does not reveal its secrets easy. Also kudos to their label Pest Productions who not only sent the double LP I ordered in a beautiful packet but also included 2 cd’s as extras! Split with Yn Gizarm – 悲赋之秋 / 司命楼兰 (Autumn of Sad Ode / Siming of Loulan) and Winter Mirage Ep. Both stellar releases, at its best Yn Gizarm can be downright stunning. The vinyl version also includes Winter Mirage EP and a couple of remastered tracks from the split. I am starting to sound like a marketing person, but I can’t stress enough that if you feel that you’ve heard it all when it comes to Black metal, China has an answer you. Bleak and atmospheric depressive black metal with careful attention to detail. 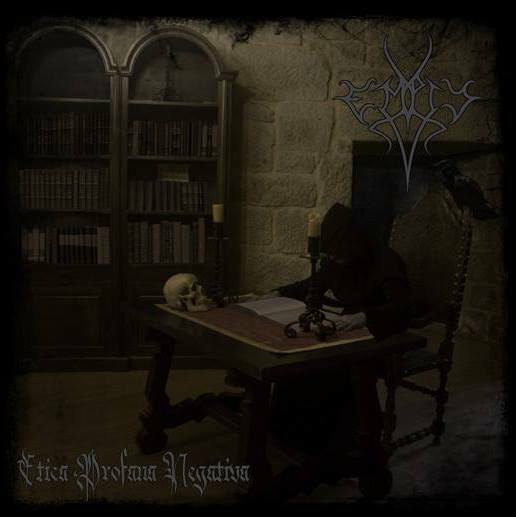 Etica Profana Negativa is the fourth album by Spanish black metal band Empty. They’ve developed album-by-album and Etica Profana Negativa continues that flow. It reaches out to catch gloomy atmospheres and does it well. Considerably more midtempo and thoughtful than its predessor The House Of Funerary Hymns. It creates more magic from the somber parts than vicious blastbeating. Many a time I have been impressed by a track only to be impressed by a different track on the next listen. The record does contain quite a few uninspiring and clumsy moments but it is easy to forgive as they do not ruin the overall feel. In best tracks, Terrifying Lucidity of The Wakefulness, A Funeral Song To Be Sung and The Tree of Dying fruit the band really takes care to build the songs up and at times creates true magic, but also often lingers on the edge of their composing skills. This is a metal record that doesn’t lack danger. The only uninspired track is Born Under The Sign of a Moribund Star which isn’t bad just a very average black metal song. For example the beginning of A Funeral Song To Be Sung, starts with rhythmic drumming, guitar sweeping and a bass lead. Even with over 10 listens I still cannot say if it is a bit clumsy or not. It launches into a brilliant blastbeat which after a second repeat turns to the magnificient albeit too short centerpiece of the track. The track ends with some surpremely tasty and atmospheric rhythmic drumming and guitar leads. If composing skills can sometimes be put to question same cannot be said of their instrumental proficiency. The band plays tight and woves a real symbiosis. At best each instrument gets a possibility to be in the front in the same section of a track. Especially the session drummer Naemoth does a really fine job with clever fills and effortless versatility. The vocals deserve a mention too as they vary from different kinds of black metal rasp growling to extremely inhuman screeches a la Fleurety (whose EP A Darker Shade Of Evil is widely regarded as containing some of the most inhuman vocals in metal). The sounds have also taken a step forwards to emphasize the bleak atmosphere of the tracks well with bass standing up in the mix. It is justifiable to expect great things from the next album.